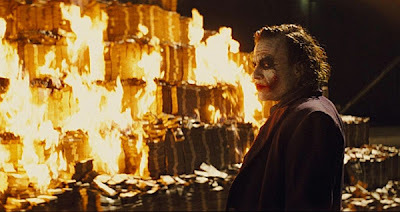 "Where can I watch The Dark Knight for free?" This is a common question on Twitter. Many people are trying to catch up on the Batman movies. This is usually followed by someone pointing the person to a torrent site or someplace else. What if you want to watch it without paying a dime or breaking the law? The legality of watching movies for free can be debated, but I've almost gotten viruses from trying to watch a torrent or streaming movie. I'd rather stay away from them. Here's how you can watch Christopher Nolan's masterpieces Batman Begins and The Dark Knight without breaking the bank. From borrowing from friends to free Amazon coupons, I've sorted them from easiest to hardest. Do you know someone with a good movie library? Just hit them up for the movie or go watch it at their house. This is an easy way to get it free. If you don't know anyone with the movie, or no one wants to share, then go to the next option. Many libraries carry recent new releases. Just get a library card and check it out. While you're there you can pick up a "making of" book from the film or the novelizations. Libraries are free and easy ways to get a movie. Just watch out for the overdue charges. The other downside is it might already be checked out. Here's where it gets trickier. 3. Get A Trial Of "Netflix"
Netflix carries many movies including Batman Begins and The Dark Knight. If you've never signed up before you can get a free 30 day membership. If you like it, do nothing and your membership will automatically continue at the monthly subscription rate for the plan you selected. If you're just in it for the movie then cancel. Remember to get the DVD mail option, since neither video is available via online streaming right now. This is another easy way to watch it for free, but the timing needs to be right. 4. Get a Trial of "Blockbuster Total Access"
Another free and easy option is to sign up for a trial of Blockbuster Total Access. It has the same restrictions and limitations as Netflix, but they also have the option of picking the video up in the store. Plus, you're less likely to have a membership with Blockbuster. It's not very popular. There are a couple more options though. The big red Redbox kiosks are available everywhere. If you can't find one, click on the link to search for a Redbox location. Currently, they don't have Batman Begins or The Dark Knight, but they often re-release movies and it could show up. If they do show up there are lots of ways to get a free Redbox rental code. The easiest way is to text REDBOX to 72727. Every month they send out a promo code for a free rental. There are also sites like InsideRedBox that list some common free codes like REDBOX, DVDONME or BREAKROOM. This option is free, but the timing has to be right. Blockbuster Express is a newer option. Again, they don't have the movies as of this writing, but if they do you can do a search for free rental codes. It's harder to find a rental code for Blockbuster than finding a RedBox code though. Try Hunt 4 Freebies or CouponDad. Amazon has Batman Begins and The Dark Knight available for online viewing. You can rent it for $1.99 or buy the video for $9.99. That's almost free, but lookout for promo codes. A while back they had a promotion that if you Tweet you can get a $3 credit. This is another free and easy way to watch the films. Of course, if you're willing to spend a little money you can get either movie pretty cheap. There are some used copies of Batman Begins (Single-Disc Widescreen Edition) and The Dark Knight (Single-Disc Widescreen Edition) at Amazon for less than two bucks. Skip the shipping by going to a used bookstore or thrift store. Now you know how to watch these Batman films, or any films really, legally and free. Christopher Nolan's Batman Begins explores the origins of the Batman legend and the Dark Knight's emergence as a force for good in Gotham. In the wake of his parents murder, disillusioned industrial heir Bruce Wayne (Christian Bale) travels the world seeking the means to fight injustice and turn fear against those who prey on the fearful. He returns to Gotham and unveils his alter-ego: Batman, a masked crusader who uses his strength, intellect and an array of high tech deceptions to fight the sinister forces that threaten the city. Katie Holmes, Morgan Freeman and Michael Caine also star. In this blockbuster sequel to Batman Begins, the caped crusader (Christian Bale) teams with Lt. James Gordon (Gary Oldman) and District Attorney Harvey Dent (Aaron Eckhart) to continue dismantling Gotham City's criminal organizations. But a psychotic new villain known as the Joker (Heath Ledger, in a Golden Globe- and Oscar-winning role) threatens to undo all their good work. Maggie Gyllenhaal, Morgan Freeman and Michael Caine also star. What about you? Have you used any of these options to get a free movie? Is there another legal way to watch a movie for free you'd recommend? If you liked this post use the buttons below to tell your friends about it. For more science fiction news, photos, video and fun click on the links to subscribe to us by RSS, Email and follow us on Twitter @thegeektwins. 'The Dark Knight' Joker's 'Got Milk." Do you? NetFlix is how I watch a lot of movies and shows these days. I have both on DVD plus my old laptop has The Dark Knight digital copy on it. I usually watch the latter when I'm on vacation. Anyway, I have Netflix streaming and Blockbuster by mail. Though the latter has been annoying me lately. They've become so slooooow to ship movies. When I complained they said well it takes 1-2 business days. Except they really only ship Monday-Thursday. Yeah, guys, that's going to keep you in business. The problem with Netflix though is that Hollywood is so greedy they want to charge exorbitant sums to stream it on Netflix, so now Netflix is turning to mostly TV shows, making their movie selection fairly weak. As for Redbox they have new stuff (like I got the Hunger Games the day it came out and it only cost $1.27) but old stuff is pretty spotty. So really none of those services is that great. If Hollywood weren't so greedy it would be much easier to just have one site where you could download any movie. But I guess that's what illegal sites are for, not that I'm recommending that. I'm just saying Hollywood should learn from the music industry which found that if you don't competitively price content, people will find a way to take things into their own hands. Netflix sounds good. Star Trek here I come, oh darn! I've got them all on dvd.... still it'll more fun when you think its live. Netflix is great. Since I've suffered from pirating, I just can't ever bring myself to illegally watch a movie. Our economy can't take much more of that kind of stuff. Agreed Ciara we all suffer from piracy. What happened to you? It is Spacerguy, maybe you can splice some commercials in too. You said it Pat. The industry is trying to kill what could be a very lucrative partnership. Years ago no one would have thought a legal digital music model could work. Then along came iTunes. If only they would realize most people don't want to take anything away from the film industry. We just want freedom and choice. Netflix has a lot of choices Alex. I'm watching Star Trek the animated series now. I could never have done that years ago.